He studies the structural and molecular bases of learning and memory and how changes of processes related to these bases promote neurodegenerative diseases such as Alzheimer’s and Parkinson’s diseases. 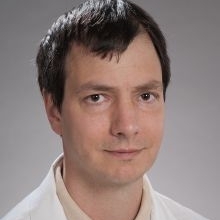 His goal is to identify key pathogenic processes, critical brain circuits and neuronal signaling pathways that ultimately will identify new potential therapeutic targets that lead to improved treatment of cognitive dysfunction. Work in the Darvas laboratory addresses these important and prevalent medical problems through a combination of mouse genetics, virus-mediated gene transfer, pharmacology and selective toxins that allows incapacitating selective signaling pathways or whole neuronal populations in discrete brain regions.